This product is not designed to alleviate snoring problems. Its intended use is to block out sleep-disturbing noise, primarily the sound of a partner’s snoring. At the end of the day, everyone wants to know that they can enjoy a nice and relaxing night of rest. Unfortunately, getting the level of quality sleep that we need can be incredibly difficult. Whether you are dealing with loud neighbors, the outside sound of your hometown or even the snoring of your partner – rest can be elusive. For that reason, many folks are starting to turn to specialized sleeping headphones in order to get the rest they need. Today, we are going to be taking a close look at the SleepPhones by AcousticSheep. Lauded as ‘pajamas for your ears,’ SleepPhones are supposed to give you high-quality rest with comfort as a priority. Keep reading our detailed SleepPhones review in order to see if these nifty electronic sleeping aids are up to snuff or a simple waste of space. 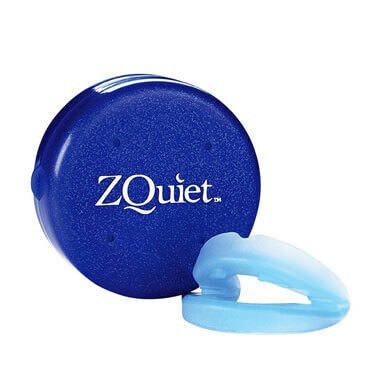 This product is ranked #1 on our Best Alternative Snoring Aids list. You are probably wondering what in the world a pair of SleepPhones actually are and how they can make a difference in terms of your quality of rest. SleepPhones by AcousticSheep are sleeping headphones that were engineered with the core goal of helping people to get to sleep and stay there. 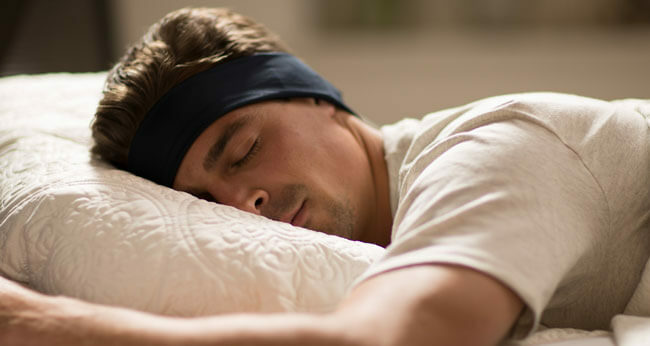 At first glance, SleepPhones look like a simple headband – the kind you’d see people wearing to keep their ears warm during winter. Underneath the surface of this simple looking headband is a system of audio speakers and wiring that was designed to feed you sound while you sleep. As we pointed out in the introduction of our SleepPhones review, these headphones were created as a sleeping aid for people who are being challenged by auditory problems at night. Whether you have to deal with your significant other’s snoring problem or the sound of your loud neighbors, SleepPhones were created with you in mind. Additionally, some people simply like the idea of falling asleep to soothing sounds and audio tones but lack a comfortable way to listen to them as they fall asleep because most modern headphones are too uncomfortable to leave on overnight. SleepPhones were developed with comfort as the primary motivator in the creation process and that is why they continue to succeed with troublesome sleepers around the world. They were developed to be wearable as a comfortable headband and the entire device is completely padded. The ‘headphones’ within the comfort band were designed to be unobtrusive and most customers report that you don’t even feel them at all. Once SleepPhones are affixed around your temple, covering your ears, you either plug the 3.5 MM jack into your music player or pair it with a Bluetooth device. From this point, you can feed whatever sort of audio into your SleepPhones system: podcasts, soothing tones, music – whatever you like. Additionally, SleepPhones offer roughly 12 to 13 hours of battery life per charge. Charging your SleepPhones is done via its USB-based charging setup and it is something that you will have to get used to doing if you are going to use the SleepPhones on a nightly basis. Listed below you’ll find the primary reasons that people use SleepPhones by AcousticSheep. Blocking Disturbing Noises – If your partner snores and you are a light sleeper, you could be in trouble. If you are a light sleeper and the garbage collection team comes at 6 AM, you might be in trouble as well. With SleepPhones, you are able to completely block out these troublesome noises while still remaining comfortable. Audio Therapy – If you are the type of person who enjoys falling asleep to audiobooks, podcasts, hypnosis or meditation, then SleepPhones might be right up your alley. While audio therapy isn’t for everyone, it’s a booming industry that pairs well with the comfort that SleepPhones provide. Comfortable Daywear – If you have trouble wearing big and bulky headphones around the house, which many people do, then SleepPhones could be a viable alternative. With a comfortable and lightweight band, SleepPhones have the tendency to ‘disappear’ when they are around your ears. Many customers, which we will point out to later on in our SleepPhones review, say that SleepPhones are so light that they forget that they are wearing them. Our final point of operation that we feel important to discuss is in regards to charging the battery. There is an onboard battery tucked behind a velcro shield within the SleepPhones headband. This battery has an adapter that is then used via a USB to recharge. This process is slightly more confusing than it needs to be and that is one of our primary complaints regarding the product. With that being said, once you get the hang of charging the battery (every 13 hours of use), you’ll find that the process becomes infinitely easier. What is particularly interesting about SleepPhones is that they were created out of necessity. Dr. Wei-Shin Lai and her husband Jason Wolfe created SleepPhones in order to deal with their own difficulties falling asleep. Dr. Wei-Shin Lai worked as a physician and she needed something comfortable she could wear to bed in order to play relaxing meditation as a way to escape the day’s stress. She and her husband came up with the idea and got to work, with Dr. Lai sewing the original headphones and Wolfe soldering them himself. Now, a decade after they were first created, people all around the world use them for a variety of different sleep-related reasons. Machine Washable – You can wash SleepPhones at any temperature, but warm water is suggested. Fabric Softener & Bleach – Avoid using fabric softener during the cleaning process as it destroys the ‘wicking barrier’ that is essential to your overnight comfort. Also, avoid using bleach on your SleepPhones. Drying Advice – If you are going to dry your SleepPhones in the dryer, do so on low heat. Avoid using an iron as it can melt the fabric of your SleepPhones and never dry clean the product. Alright, we’ve laid out how SleepPhones function as well as how to take care of them. With that information out of the way, we can move on to the technical aspects of our SleepPhones review. 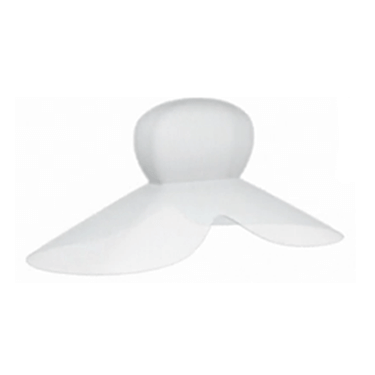 Small – This is the smallest size of SleepPhones that you can purchase. This size is ideal for heads in the 20 to 20 3/8 inch range. AcousticSheep suggests buying the extra small size if you are ‘petite’ with short hair. We figure that this size is also ideal for children. Medium – This is obviously the most common size of SleepPhones. This ‘One Size Fits Most’ option is ideal if your head measures in at 21 1/2 to 23 3/8 inches. This sizing is a perfect fit for just about everyone. If you don’t know which size to order, this is the one that you want. Large – This is the largest offering that AcousticSheep lists on their website. The Extra Large SleepPhones were made to accommodate larger individuals and people with a lot of hair. The range for this size is 23 1/2 to 25 inches. While AcousticSheep offers a couple of different sizes, the vast majority of customers are going to end up buying the One Size Fits Most option. It is important to take some time in order to make sure that you order the properly sized headphones. When you have a poorly fitted pair of SleepPhones, you won’t reap all of the benefits that they can offer. SleepPhones are only effective when they fit – and if they aren’t effective, then nobody ends up happy. The most important aspect of any sleeping aid is always going to be its comfort. The question that prospective customers are asking about SleepPhones is the same: are they comfortable to wear? And, if so, why are SleepPhones more comfortable than other sleeping headphones on the market? The truth is that ‘comfortable’ is a relatively broad term and what might appeal to one person may not appeal to the next. With that being said, there are a few foundational benefits that show that AcousticSheep has been taking comfort seriously from the beginning. SheepCloud Knitted Fabrics – Fleece: This blend of fabric is comprised of 95% polyester and 5% spandex. SheepCloud Knitted Fabrics – Breeze: This second blend is made of 88% polyester and 12% spandex. The blended fabric options are a positive selling point for people who want to have more control over their sleeping aids. While there aren’t huge differences between the two blends, we like the fact that AcousticSheep offers a choice. The next big test relating to comfort comes in the way that the headband function works. If you have ever worn a headband before, you know how it feels to eventually get a ‘pressure headache’ from the fabric wrapping around your temples. This is probably the biggest question mark for customers seeking a potential sleeping aid in a headband format. Fortunately, the SleepPhones headphones live up to their advertisement as ‘pajamas for your ears.’ With a lightweight fabric blend, SleepPhones are almost impossible to feel once they are comfortably settled around your head and onto your ears. This kind of comfort allows you to take control of your sleeping position without sacrificing the audio benefits that SleepPhones provide. Snug Fit – In order to maximize comfort, SleepPhones relies on users buying the correct sized product. As long as you get the proper fit, you’ll notice that SleepPhones stay snug to where you set them. Comfortable Fabric – AcousticSheep offers customers two different styles of fabric when purchasing SleepPhones. There is a fleece option and a polyester/spandex option. Both styles are incredibly comfortable, but customers will have to pay attention to their own personal taste in order to make a decision. Lightweight – The biggest selling point of SleepPhones, in our opinion, is the fact that they are so lightweight as to feel invisible. Trying to sleep with bulky headphones or earbuds can be a painful experience. Luckily, SleepPhones are lightweight, easy to wear, and snug to your head. Moisture Wicking – Finally, SleepPhones are also built to wick moisture away during the night. This helps to keep you cool and relaxed while you are sleeping. While this isn’t a huge benefit, we’ll never deny an extra feature. As you can see, there are many reasons to believe that the SleepPhones sleeping headphones are as comfortable as they look. While everyone has a slightly modified ‘taste’ for comfort, we feel relatively confident that SleepPhones are an ideal product for fickle sleepers. While SleepPhones are primarily advertised as sleeping aids for people in loud environments, we’ve found that they are actually ideal for just about anyone looking to improve their quality of sleep. With the ability to use your own specialized playlist (podcasts, meditations, binaural beats, soundscapes), there is no limit to the ways that these sleeping headphones can be used. Still, it is clear that SleepPhones were developed with struggling sleepers in mind. For people looking to block out snoring and other types of noise pollution, SleepPhones by AcousticSheep may be an ideal solution. For anyone else interested in changing their sleeping habits through audio, this could be a great product to try. As we’ve alluded to several times throughout our SleepPhones review, no two people are going to experience these headphones in exactly the same way. As a result, reviews for the SleepPhones sleeping aid have been mixed in certain areas and unique in others. Let’s take a moment to look at the different positives and negatives that users of the SleepPhones sleeping headband have been able to agree on. Compliments – SleepPhones are almost universally acknowledged by customers as absurdly comfortable sleeping aids. They are routinely described as ‘lightweight’ and most customers admit that they will occasionally forget that they are even wearing the headbands! Customers were also extremely satisfied with the different sizing options that AcousticSheep have available and the majority of customers found that the product kept its shape reliably despite nightly use. Customers were also quick to praise the ability to sleep on their sides while still wearing this product. Complaints – While there were many kind words to be said about the SleepPhones sleeping aids, customers weren’t universally happy. Among the chief complaints, many customers were unhappy with the relatively short 13-hour battery life. The fact that customers have to charge their headphones on an almost nightly basis seemed to be slightly problematic. Additionally, many audio-fanatics were less than enthused with the sound quality of the headphones, citing better options at an equivalent price point – albeit none of these options were effective as sleeping aids. AcousticSheep has an entire library of SleepPhones options available through its website, which allows customers some flexibility in deciding what to shop for. Let’s briefly look at the prices for the core SleepPhones products before delving into their warranty, refund, and exchange policy. SleepPhones Effortless – $149.95 – This is the cream of the crop of SleepPhones technology. This wireless sleeping headband is Bluetooth compatible, comes with a rechargeable battery, and offers induction-based charging technology. SleepPhones Wireless – $99.95 – This pair of SleepPhones comes with wireless audio technology as well as with a comfortable moisture-wicking SleepPhones headband. Easily pair your headphones with any Bluetooth device within 15 to 30 feet of your bed. SleepPhones Classic – $39.95 – This is the wired, classical pair of the SleepPhones headband. With a 3.5mm jack, you can hook this band up to your phone or MP3 player with relative ease. SleepPhones Wireless with Microphone – $109.95 – This model comes with an implemented microphone. SleepPhones Simple – $99.95 – This model doesn’t require any external music players since it comes with 17 pre-loaded audio tracks. SleepPhones TellyPhones – $149.95 – TellyPhones headphones allow you to listen to TV programs from your bed with their ultra-thin, lightweight speakers placed inside a cozy and soft headband. They receive a wireless signal emitted by the provided Bluetooth transmitter that connects to your TV. You can also connect them to your smartphone, computer or pretty much any audio device. The company also offers external speakers ($29.95), extra charging kits ($49.95), Bluetooth modules ($69.95), gift sets (headbands only – $39.95), and a multitude of CDs, free MP3s, accessories, and more. As you can see, there are many different options available at a variety of different price points. No matter what option you decide to go with, SleepPhones offers the same warranty, refund, and satisfaction guarantee policy. 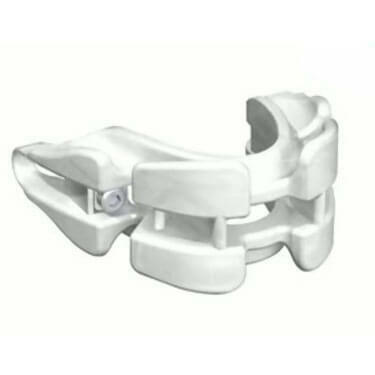 SleepPhones offers a full money-back guarantee on all of its products, excluding your shipping costs. There is also a return and exchange policy in place that can be accessed via the instructions that come packaged with your SleepPhones. All SleepPhones products are covered with a one-year limited warranty. With an extended warranty and money-back guarantee, it seems like SleepPhones are a pretty safe bet for people who want to take a chance on a new sleeping aid. If you are still unsure if SleepPhones is right for you, check out the key advantages and flaws of this snoring aid. At the end of the day, people just want to be able to comfortably sleep. SleepPhones by AcousticSheep offer people the chance to reclaim their night’s rest in order to get comfortably into their REM cycle. The SleepPhones sleeping headphones are not a perfect product, but they are as close to perfection as this type of snoring aid can get. You’ll enjoy how comfortable these sleeping headphones are and the varying price points mean that you’ll be able to get one that fits your budget. If you are looking to get a solid night of rest with some audio relaxation, SleepPhones by AcousticSheep might be the right product for you. Our ratings are the result of an objective and independent evaluation of SleepPhones, generating the final rating that reflects the overall quality of the company. Ratings may change as the product introduces changes. 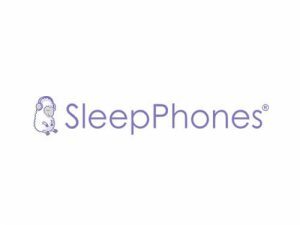 SleepPhones user rating based on 6 user reviews. I just bought them cause they're comfortable to listen to audiobooks in bed. No snoring problems, I was just looking for something that won't have me waking up with sore ears. These headphones are lifesavers! I can listen to my asmr clips or just simple white noise without hearing my hubby snore. Also, they're great if you want to listen to stuff while in bed but can't handle uncomfortable earphones. My husband's snoring really started getting to me at some point and he consistently refused to face the fact that we have a problem. Instead of forcing him to do something he doesn't want to do, I decided to buy these handy sleep phones and see if they can help me resolve the issue. I couldn't believe it at first, but this little thing actually blocks all the unwanted sounds, including garbage collection :) I can just relax and fall asleep listening to a quality audiobook instead of listening scraping sounds all night long. Definitely recommend for anybody who has the same problem as me. I’m a big fan of both SleepPhones and RunPhones. Real comfy, excellent sound quality. Headbands slip off. Period. Woke up with my new SleepPhones wrapped around my neck. Thank God they didn’t make a fuss about my request to return them. Real good headphones, sleeping or otherwise. I got the TellyPhones a couple of weeks ago, they’re the smartest invention I’ve seen in a while. We found 1 verified SleepPhones discount for April, 2019. With our collection of SleepPhones guides, you can have expert assistance every step of the way. We bring you all the key information you need to know before and after you purchase SleepPhones, covering everything from SleepPhones effectiveness, proper use and maintenance, and suitability for different types of snorers to cost and refund policy. Our collection of SleepPhones guides is constantly expanded, so be sure to check back for more useful tips and instructions. Bedphones Vs. SleepPhones - which allows you to get to know these two brands of sleep headphones better and decide which one constitutes a better choice for you.